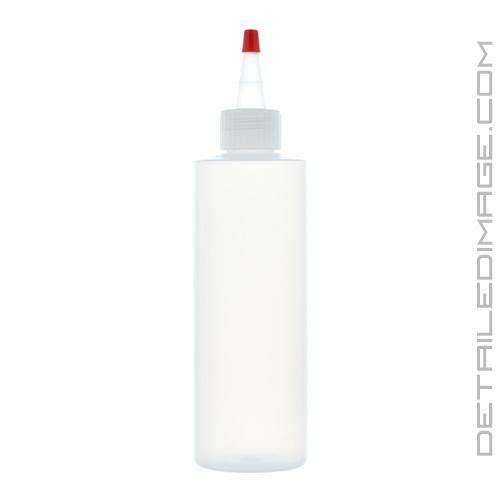 The 8oz Yorker Dispenser Bottle is perfect for storing and dispensing polishes, glazes, sealant, waxes, leather cleaners, interior cleaners, quick detailers and all other liquid detailing products. The yorker style top is a little wider than the typical dispenser bottle so thicker formulas like polishes can flow easier. This top allows you to easily monitor the exact amount of product you pour for increased efficiency. Pouring larger bottles in to this convenient travel sized bottles helps you get the best value from your detailing supplies. It also helps you complete a detail faster by storing it in your pocket without having to find a bottle on the floor. 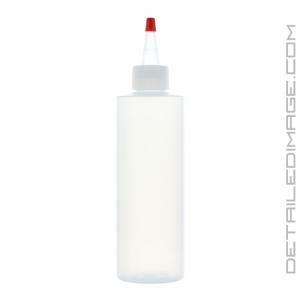 The various uses for this bottle makes it a great product for any detailer to have. Its a bottle. Works perfect with Menzerna polish. These bottles are so much easier to carry around then the bottles the polish originally comes in. I'm definitely going to buy more! I didn't think I would care for these bottles much, but I have seen lots of detailers using these bottles, so I ordered 2. Hands down, one of my favorite things (and cheapest!) that I ordered. 100% worth the money.